Everyone at least once in their lifetime dream of having their own house. We all have a very clear picture in our mind of our dream house. We even think about the colors, the look, the space, the decor and almost everything about our dream house. We always tend to become very emotional about our dream house as we directly relate it to the happy moments that we will share with our family staying in it. Hence it’s never easy to give up on chasing this dream and why should you? All you need is right planning and attitude and there you are! Here’s a step to step guide to finance your dream house. 1) Start early– Don’t wait to chase your dreams. As soon as you have a dream house on your mind, you start saving that same moment for it. If it’s your dream house, not only will you have to spend for buying the same but also for decorating it? So if you have a dream house at the age of 21, start saving from that age itself. Remember “A penny saved is a penny earned”. If you start saving early, you can enjoy the benefits of “power of compounding”. Here’s where the money starts working for itself. For example, you invest Rs10,000 in a long-term Fixed deposit or ppf account. The year later, you will have around Rs 10,8000 in your account. Further, you will start earning interest on the amount already increased. This means now your principal will become Rs 10,800. Imagine years later, you can save so much just by the power of compounding. 2) Diversify your funds– You should always invest in different portfolios as this helps you to avoid any risks during an emergency. For example, today the gold rate is increasing and that of the stock market is decreasing. Imagine if you had invested all your money only in the stock market! With proper financial advice, it’s always better to diversify your investments. You can put some in mutual funds, some as fixed deposit, some in gold, some in PPF and so on. At any given time, at least one of these will give you good returns and also put you in a low-risk zone during an emergency. 3) Plan your growth– Buying a house is a big financial responsibility and you have to have your regular income in place. Your decision of choosing a home loan account will be mainly dependent on your net monthly income. Also, the amount of home loan that you are eligible for is completely decided based on your monthly income. You need to know the amount of loan that you will have to take for your dream house at a particular time you decide to take the big step. Once you know that, see if your current income is sufficient to pay EMI along with your regular life spends. If not, then plan your career growth accordingly. Also, you have to take inflation into consideration. Maybe your current income looks sufficient but few years down the line, it may be difficult to meet two ends. Hence planning your career growth is mandatory in any circumstance. Upgrade your skills, get the right job in the right companies or if you are in business, see how you can make it more profitable. 4) Get the right home loan account – Just when you feel you are financially ready to take the big step, a right home loan account will serve as a bridge to your dream house. Choose an account which gives you the flexibility of withdrawing and depositing money as and when required. Certain banks offer accounts in which you can deposit as much money without actually paying off your loan at that moment. In these accounts, money in the bank is considered as the principal amount of your home loan. This helps to drop down your EMI as the interest is charged only on the balance principal amount. At the same time, you can also withdraw your money and the interest will be charged accordingly. Different Banks offer home loans with varying interest rates. You can either take a loan with a fixed interest rate or with floating interest rates. With fixed interest rates, the amount payable remains the same. With floating interest rates, you take a chance with the market. If the interest rates drop, your home loan amount also drops. This is usually adjusted with the drop in the tenure of your loan or drop in the EMI. However, there is also a possibility that the interest rates rise and so does your EMI. Thus calculate all your risks and assets before choosing your home loan account. 5) Get a backup plan ready – It may so happen, that even after taking every step calculatively, you still fail to manage your finances and keep up with the EMI. It’s always wise to have a backup plan. With uncertainties and fast-changing technology in the market today, our jobs and businesses are always at risk. In such a crisis situation, a backup plan always helps. It may be income from some other family member or your fixed assets like gold or property. It may be a second income via your own property given on rent. 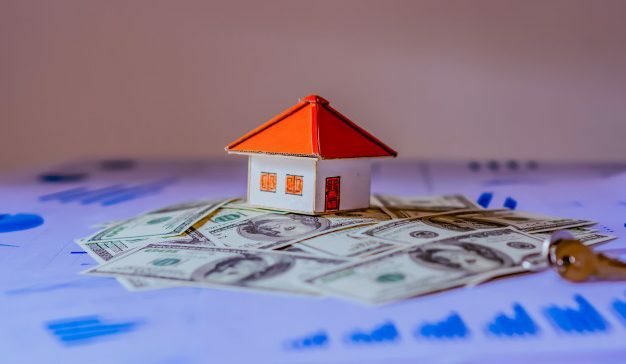 Sometimes, it’s wise to buy a smaller house or a property before buying your dream house because then the rent earned on that property can actually help to pay up the EMI of the same. Also as property rates rise, you can always sell off the same and get good returns which can serve as a down payment for your dream house.